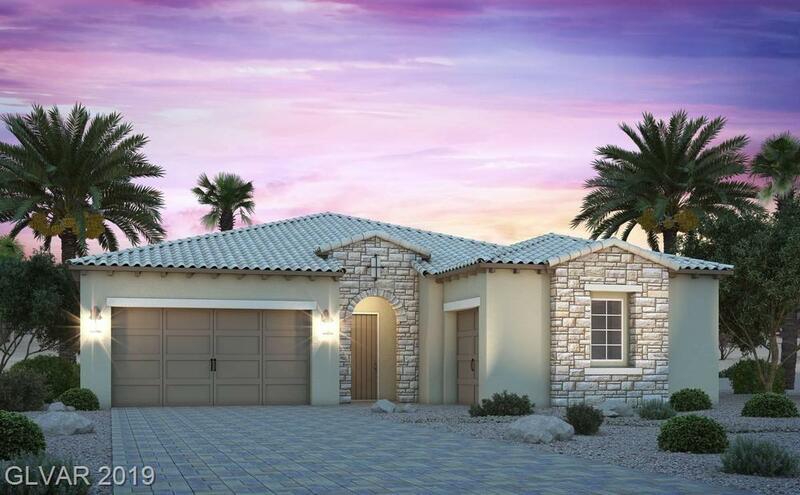 This gorgeous single story Century Communities Model Home features three bedrooms plus a den with 10' main level ceilings, 8' interor doors, a multi-slide glass door leading to an extended covered patio with pavers and two-bay garage. Each bedroom has its own full bath. Beautiful custom paint and trim. Gourmet kitchen includes SS refrigerator, KitchenAid undercounter wine unit, apront-front undermount sink, and quartz countertops throughout. Association Name Rhodes Ranch Assoc.